Ink cartridge is not installed correctlyHow to fix error message E5 Canon printers , if the ink cartridges are not installed properly , try removing the cartridge from the printer and reinstall it . Make sure it is fully installed and into a safe place . Then try printing again . Make sure you turn the printer off and on again to reset the error message . Ink cartridge was installed incorrectly ( the type of cartridge that is not supported )If the cartridge is incorrectly installed , you will need to purchase the correct cartridge and install it . Cartridge printer models supported by usually listed on the cartridge box . The printer does not detect the ink cartridges correctly , applies to allHow to fix printer error message E5 Canon , There is also the possibility that the printer does not detect the cartridge after you install it . This could be caused by the printer becomes dirty ( excess ink in the ink cartridge or ink tray overflowing tray ) . Try cleaning it thoroughly and install printer cartridge again to see if this fixes the problem . How do I clean an inkjet printer ? The printer driverAnother option to try is reinstalling the printer driver . If the driver has become corrupted or other problems in the operating system ( Windows or Mac OS ) have appeared , reinstalling the drivers can sometimes fix the problem and get the printer back running normally . Reset the printer counterThere are other options to try , including certain printer functions and reset the counter . 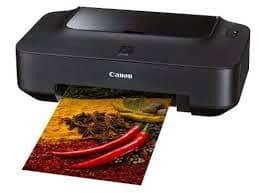 For this option , you will need to search the Internet for your printer model and the re- instruction given or contact Canon Support Technician . Reset instruction is different from the model number , so you will need to get specific instructions for your printer .